Storydrive Asia was one of those conferences that resonated with Tusitala on so many levels. The two-day conference was held at the Arts House this year from 10-11 November, bringing content creators, owners and disseminators together to share, learn from one another, and innovate. We were pleasantly surprised by the keen focus on leveraging on technology to tell stories, with interesting case studies from around the world! It seems content creators and publishers have embraced the digitalscape in which their consumers live, and are looking to adapt and grow to stay relevant in these dynamic times. We’ve distilled some of the questions and ideas thrown at us through the course of the conference. How do we get people to read? This was the essence of the conference. How do books and stories compete with the constant influx of stimuli that fight for a digital consumer’s attention? How do we make reading “cool” again? (One gentleman suggested we could make reading illegal to rope in more younger readers) In a sense, publishers and content creators aren’t playing the game of digital vs. print anymore, so much as looking for new ways to leverage on digital to attract and engage more readers. This is encouraging! With an industry that’s more open to digital, content is surely going to become a lot more interactive, accessible and interesting! We’ve moved past arguing about mediums and looking for ways to improve the online/offline reading experience. That’s absolute gold. Content is king. Or is it? For the longest time, we’ve heard the phrase “content is king” being thrown around. 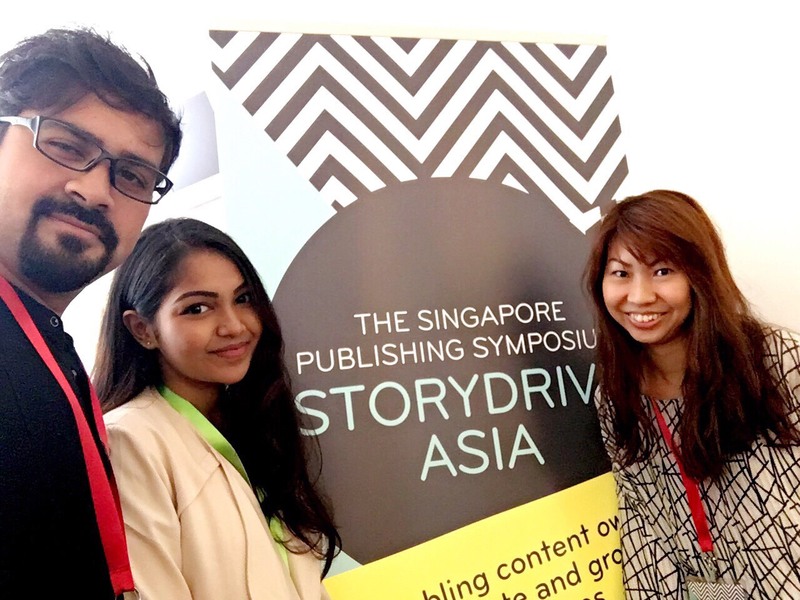 At Storydrive Asia, Richard Nash presented us with an interesting alternative: culture is king. Indeed, in a digital world, content that “works” is the content that best feeds into the incumbent digital culture. How do we tell stories that leverage on digital culture, while fostering the culture of reading and community? Hearing from Ian Yap from the NLB, we see that the #nationalreadingmovement that was started this year in Singapore is a case in point. In order to create a culture of reading, the NLB is running several initiatives (corporate reading programs, the ebook borrowing service, mobile libraries, etc.) that are highly influenced by the reality of how people live their daily lives. Before content can become king, culture is king. There are great examples of transmedia projects, and many more are in the making aka let’s get creative, experimental and leverage on technology to make stories more. We were blown away by some of the projects we heard about over the course of the conference, giving us the impetus to get experimental and have some cool Singaporean case-studies to share in the future! Transmedia isn’t just a buzzword that people are using. It is a method and a strategy to get consumers to engage with your story in memorable and interesting ways. If you’re a content creator who wants to explore a transmedia project, do reach out to us and we’ll be happy to collaborate.